Google announced on Sunday the Qibla Finder, a new web service which helps users find the right direction of the Qibla using augmented reality. The Qibla Finder is accessible through mobile browsers, enabling anyone to use the service regardless of their mobile's model once the user enables the app to identify their location. On Android devices, the webapp uses augmented reality technology to draw a clear blue line in the imagery imagery the phone camera sees, pointing users towards the Kaaba without saving any pictures or imagery. The service works similarly on iOS devices but without the imagery. When people search for the Qibla, they often look for a website or an app to point them in the right direction. Which explains why the word "compass" often pops up when we look at Qibla-related search results over the past five years. That is why Google is launching the Qibla Finder, to make it simpler for our users to easily find the right direction to pray towards wherever they are in the world." The new feature follows a series of updates to Google applications to help users mark the month of Ramadan. The updates include Ramadan-specific notifications on Google Maps, a collection of discounts on the the Google Play Store on top premium applications and books, as well as a collection of the month's most critically acclaimed Ramadan TV series on YouTube Mosalsalat. 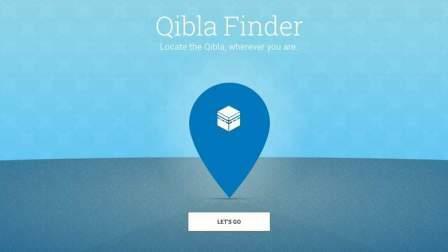 All details about the Qibla Finder and the other updates are now on Google's Ramadan Hub, a website the company launched in 2014 to help users navigate the different ways Google can help them during Ramadan.